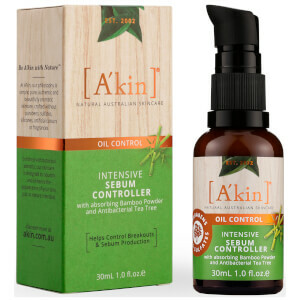 Keep breakouts at bay with the A'kin Oil Control Intensive Sebum Controller; a highly concentrated formulation developed specifically for combination and oily skin types. 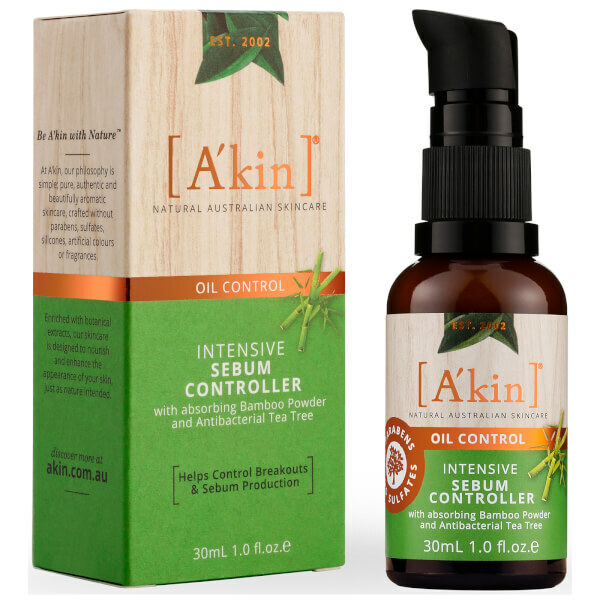 Powered by Schizandra, Flaxseed and Tea Tree Extracts, the lightweight serum soothes irritation and rebalances skin, whilst fighting acne-causing bacteria to help maintain a clear, healthy-looking complexion. Housed in a convenient pump bottle. Can be used as a primer under makeup. After cleansing, apply 1-2 pumps, gently massaging into face. Use under makeup during the day, and under your moisturiser at night. Can be used as a primer underneath makeup.